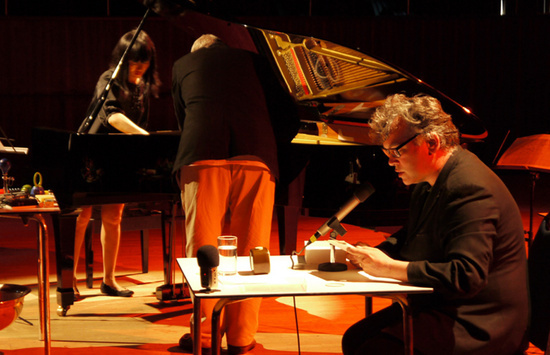 Stewart Lee – WARNING! DOES NOT CONTAIN COMEDY. 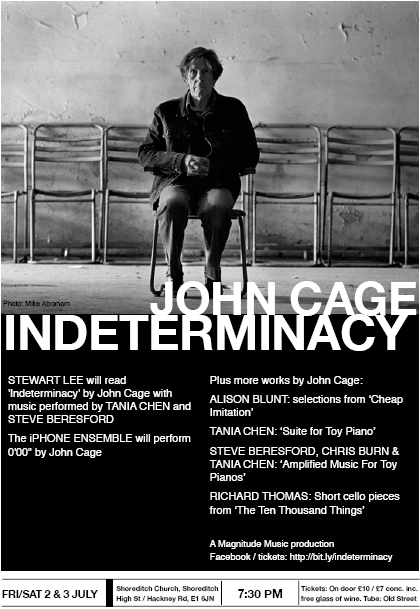 John Cage’s Indeterminacy as performed by Steve Beresford, Tania Chen and Stewart Lee. 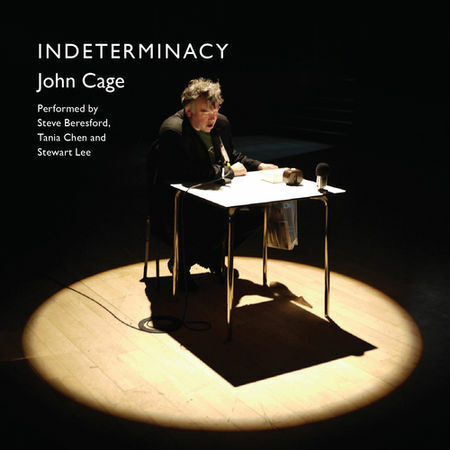 This piece pops up in a live format every now & then, and there’s a recording containing 2 different passes on Cage’s chance composition, recorded in 2011.